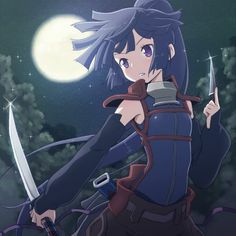 This thread I will focus on Akatsuki, a DD which more than a few have struggled with. This game is done with my standard IJN DD torp build. (PM, LS, SE, CE, TAE although I feel BFT is a better option for this tier, 8 seconds off the base torp reload just isnt that much compared to .75 seconds off your gun reload) I do feel like this DD will eventually have its concealment buffed to around 6.2km due to power creep. Once that happens she is going to get much stronger. In future videos I will be exploring a gun spec build so you guys can see some of the IJN specific gun boat tactics you can use that is different than my usual torpedo focused IJN play style. In this build I dropped TAE added a 14th point and took AFT. The eventual build will be PT, LS, SE, CE, AFT, BFT, AR in that order. Shame those that down vote wont have a conversation about what they disagreed with. Just a sign of the facebook era I guess. LOL. Whatever man, no sweat off my sack. I do feel like this DD will eventually have its concealment buffed to around 6.2km due to power creep. 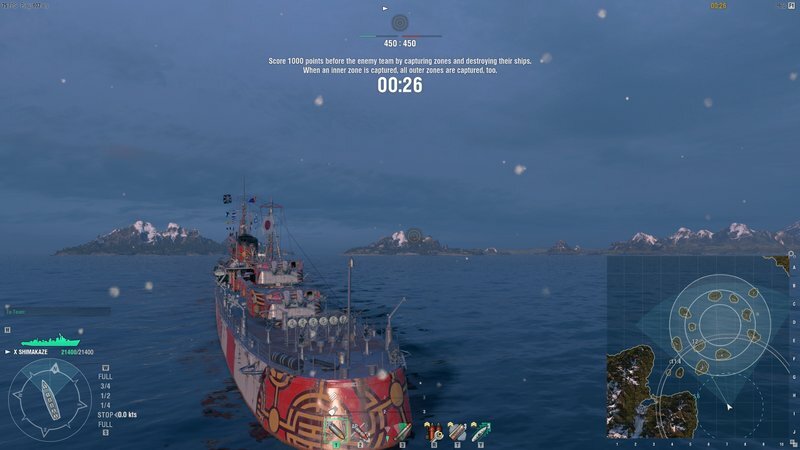 I hope that if WG ever considers doing this(Akatsuki desperately needs it, to be honest), that they'll make it 6.0km or 6.1km. 6.2km would likely still feel just as large as the current 6.4km is. I have a WIP write up proposal for buffing both Akatsuki and Fubuki's concealment slightly. I had been meaning to finish it and post it, but now there's many more new DDs to compare to. I was planning on having a chart or chart-like section showing all T5-9 DDs and their minimum-maximum concealment values, just to make a point of how silly it is for both Fubuki and Akatsuki to be so easily spotted(Akatsuki more so than Fubuki). I had even gathered stuff from the late dseehafer, particularly from his size comparison series, where he points out that Fubuki and Akatsuki's in-game model is larger than it should be. That alone, in my mind, is absolutely enough to warrant buffing their concealment as it could be based off an error from the modeling team, regardless if the actual model ever got corrected. A little more on-topic, I run pretty much the same captain build on my Akatsuki. Though my build incorporates both TAE, BFT, and EM into it. My reasoning is that I'll have to use the guns at some point, so I'd like their handling to be as comfortable as possible. Plus, having EM and BFT, plus MBM2 allows Akatsuki a few more oportunities to use guns offensively compared to most other IJN DDs. Your eventual build is pretty good..
You may want to consider SI for additional smoke and PM instead of AFT. I know I dont need it, but its case in point it can work. I sold mine when Haida came out. Love the ship, but shes been power creeped and her detect is absurdly high. I fight Haida like other US DDs, open the range and farm them. So far I feel Haida is a meh boat fighting them. Humm, The Great experiment proceeds a pace. This has always been one of my favorite ships but.. I tend to get uptiered a lot.. and in this ship that means radar. Lots and lots, and lots of radar. Concealment.. AIn't got any. dumped the Concealment module for a target acquisition modules on the ships that can mount it. Works good, eat less torps, see em coming sooner, spot cruisers sooner, spot DD sooner, spot everything sooner.. Assured detect get increased by 50%.. I'll see you in your smoke at 3Km or better not 2Km..
Don't use concealment expert..I use the 4 points for RPF, you may choose to use them on something else. Nice to know where the nasty enemy DD is, even if I do have to be a bit more carful on the approach, which all the other DD's in the game have to do anyway. Not a big deal. There's a reason I do this. 1. Until they spot me, and only if they are paying attention will they notice I'm not as stealthy, but they will continue to maneuver and react to me as if I were because you know IJN DD! This usually gives me a window of opportunity to go either be elsewhere or set 'em up to sink em. 2 It allows me to focus almost exclusively on the offensive/damage output of my ship. 3. Humans react to the unexpected the same way always..they either freeze up and go full panic mode or the fall back to what they know.. The "old" solution" and try make the best of it. Either reaction is the wrong one if your ready to take advantage of it. Be ready. While you may not agree with this as a viable alternative I am using it and it is working, rather nicely at times at that. I do have to drive paying more attention to what's going on about me but then If I wanted the easy jobs I'd be driving a BB, not a destroyer. Anyone think it would be reasonable if Akatsuki got buffed into having 5.4 to 6km detection range if you have CE skill? Because as much as some of us love the ship, it has been power creeped for long time and now has trouble doing it’s job. Anything less than 6.0km with CE and camo would be too much. She boasts more HP, more guns, and a faster speed with slightly better torps over Fubuki(of which Akatsuki is technically one of the class, Special type III, to be exact). Akatsuki is already a formidable torpedo platform, and if you invest into her guns, and understand how to use IJN DD guns, she can be a nasty opponent in a gun duel as well. Her only real flaw is that awful, elephant like (lel) concealment rating. Shiratsuyu and Hatsuharu are fine having sub-6.0km concealment because they're both slower boats. Hatsu can hit 36.5kts, which isn't too fast, but also isn't too slow. Akatsuki still boasts a 2kt speed advantage over Hatsu, which may not seem like much, but really is for a destroyer. Obviously, I would love it if my Akatsuki got better concealment, but I work with what I've got. When I'm detected early game, I either head to where I think the enemy DD is, so my guys can shoot it, or turn and run if the enemy has support. Most enemy DDs that have better concealment, also have inferior guns/hull, so if they want to get in a knife fight, that's ok. Or, since I have 2 guns aft, I'll kite them if they get aggressive. Radar is a bigger headache for me than concealment range. Target Acquisition does not work as you state. Here is the evidence. I concur TA spots torps further out, and increases the assured acquisition to 3km on all ships. Avoiding torps is best done through positioning, and understanding when you are being torped and the likely torp areas to avoid. The issue using TA against a smoked up DD is often the smoke firing ranges mean you have a very small window to shoot and remain undetected. Admittedly it would work if you limited yourself to yolo torping the smoke. Stars kind of have to align for this scenario to work out in my experience. CSM1 provides better general use in all situations IMO. I disagree with the bold. 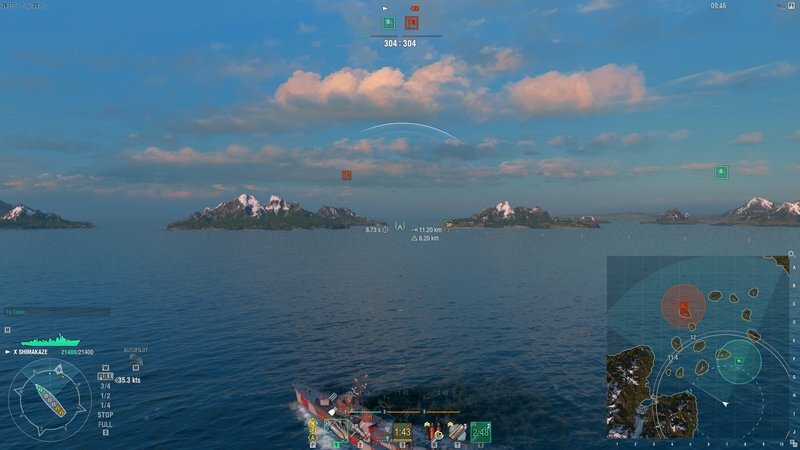 TA does not effect an enemies ships concealment rating. You will detect a max concealment DM at 10.6km regardless if you are running CSM1 or TA. I have a video showing this uploading as I type. Their wording on this module is very odd, likely from trying to translate the Russian to English. TA actually increases your max field of view. This can increase your spotting on ships shooting beyond your field of view which for most DDs is around 16km. Please see screen shots below to demonstrate. The issue with this is ships as far out where you need TA to spot are unlikely to be focused by your team as their is likely better targets closer. Worse, by giving up concealment you are gifting smart DDs who sit with their detection range right at the edge of a cap or strategic map area with some support behind them will force you completely out of the area. If you attempt to rush into them to spot them for your team you do so trading HP the whole way. Concealment is life for DDs. I would reconsider this choice. Near 40 knots with speed flag, 6 guns and 9x torps? Anything less than 6.1km is OP IMO. The speed and gun arrangement means you can gun down Benson by baiting them into a chase quite easily. She's strong, but only needs a slight tweak to bring her in line with everything. I consider Haida a huge buff for the Akizuki. Especially since it got sold as "a powerful gunboat" and lots of people bought it just because they enjoy touring the ship/are Canadian Navy fans. That thing is positively food for Akizuki, and 3/4 of the Haida captains happily walk right into the fight because they think they can win it. I thought hard about buying Haida. I really wanted to get an early start on a Commonwealth DD line like I have done with the French and British. In the end she just didnt meet my performance expectations. WG admits this too by giving her increased alpha damage on her HE. I admit, not having at least two sets of torps is a major issue for me. I didnt want to buy Kidd the first time around, but did buy her only because of recent noise about some competitions at T8. She's probably the best AA DD at that tier, so I had to get her to do my job. I'll have to use elite commander XP to level and train a Commonwealth captain when the line is eventually released. I just hope they have better ships than Haida. I am considering this build viable for random and possibly ranked battles. I really like how flexible it is when shifting between a harassing gunboat or playing the usual torp boat role. I am considering respecing my Shima after Clan Battles are over to this build to try this out at T10. Its just a very interesting play style. I assure you that I regularly do 40 knots with Sierra Mike. I agree with everything else you said. I was looking at it from a base speed rating not including engine boost since its not always available. Never really cared for Akatsuki that much probably due to the lousy concealment. Nice torps though with the triple launcher. Stealth is the real strength of any IJN DD. That was my initial thoughts on her too. I did have a spell when testing a gunboat Shima build that has always floated in the back of my head for her. The build on Shima was pretty consistent for 50-60k damage average at my skill level then. I still think Akat needs .2km knocked off her concealment to be competitive, but she's got good potential right now. She's able to out spot the full gun boats, is fast enough to hang in that group, and still has the chops to gun down most DDs. Kiting away she is a very hard target and still keeps 66% of her DPM on target. Not many gun boats can do that. Its the combo of decent torps with decent reload, the fantastic guns esp with AFT/BFT, speed and spotting that put her in a unique category. I wasn't including engine boost in my calculations. The Sierra Mike Flag (you said "speed flag") is usually available, especially now, with coal. But it's a nitpick-the Akatsuki is fast. To compare apples to apples, you really should use the base ship values. Other ships also have access to the speed flag (SM) and other DDs and some French CAs /BBs have speed boost. The speed boost especially is subject to Murphy's Law whims and may be on cooldown when you need it.